This story is told through the jagged peephole of the author's awareness, examining her formative wounds and influences from the perspective of a woman who has now gained experience and wisdom. As she peers over her soul's shoulder, she recalls the chaos of her once-fragile childhood mind. She shudders as she is reminded of the sting of her lonely childhood, her feelings of abandonment, and her painful memories of being bullied. Much like gravity, the law of attraction is a natural law of the universe, and one that governs every interaction you ever have. You can only attract into your experience those things that resonate with you on an emotional and or vibrational level. It is no coincidence that women who marry alcoholics had alcoholic fathers, grandfathers or uncles. What a child experiences in childhood determines that beings emotional set point; their point of attraction. 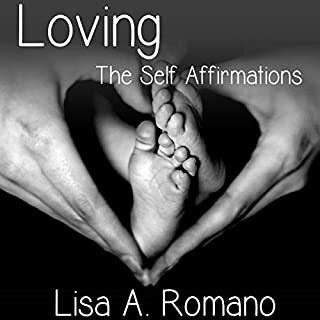 These affirmations were specifically created to help heal the unconscious belief systems responsible for low self-esteem - low-self worth - guilt - shame - fear - and primarily codependency. All relationships in life are mirrors of the relationship we have with Self. The relationship we have with Self is the result of the value or lack of - we absorbed about Self when children. If when we were children and forming ideas about Self - we were taught to believe we had no worth - then our ideas about Self are fractured. This is my second book of affirmations. I am a life coach who specializes in helping wounded adult children from dysfunctional homes move beyond their childhood brainwashing, so they can manifest beyond the limiting templates they were taught to believe were real. My agenda is to create a movement among wounded others that allows them to understand that until they confront the templates that were created through innocuous brainwashing as children, they will live their lives unaware as to their true potential. 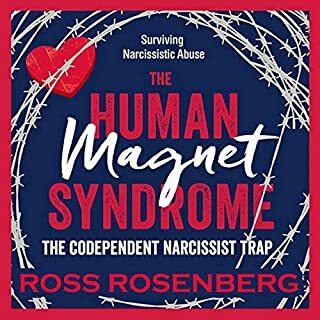 The Human Magnet Syndrome: The Codependent Narcissist Trap is a complete rewrite of Ross's first book. Ross provides a more explicit rendering of The Human Magnet Syndrome, that includes new theories, explanations, and concepts. The information on Gaslighting and The Narcissistic Abuse Syndrome, like the rest of the information, is cutting edge and completely original. This audiobook contains many more case examples and stories of Ross's own codependency recovery. this is the ultimate book of revelations. Alcoholism, drug abuse, and similar destructive practices can render families dysfunctional. When the children of these families become adults, they sometimes develop self-defeating survival tactics, such as low self-esteem or an obsession with controlling another person's behavior. To help those stuck in codependent cycles identify and eliminate such troubling issues from their relationships, Beattie shares wisdom gained from years of experience. Motivational Hypnotherapy's Joel Thielke is a world-renowned hypnotherapist and author who has helped millions of people worldwide. This powerful hypnosis program is designed specifically to help you overcome codependency and creating empowering, positive self-beliefs. It's time for you to take control. If your life has been affected by addiction (yours or someone else's), abuse, trauma or toxic shaming, you may also be struggling with another invisible problem - codependency. Without your even being aware of the connection to the above issues, it has created additional life-long challenges such as endless guilt, anxiety, perfectionism, need to control, depression, a history of dysfunctional relationships and much more. This easy-to-understand, interactive book will reveal how codependency has sobotaged you, the lies it created in your beliefs and the truths that expose them. This is not a satire, but it takes a satirical approach to shedding light upon a very dark subject: narcissistic abuse. It is intended to demonstrate to those struggling with codependency just how narcissists actually view them. By listening to their "play book", codependents should be able to recognize covert abuse and avoid its pernicious effects. This audio download put me in control of my life! Codependency - "Loves Me, Loves Me Not"
If you've had difficulty with starting or maintaining relationships or issues with feeling jealous and possessive, or find that your connections with others are more sources of distress than anything else, this book is for you. By teaching you ways to be more mindful throughout the day as well as exercises in improving your communication skills, this book will show you how to have relationships that are calmer and more stable and compassionate. 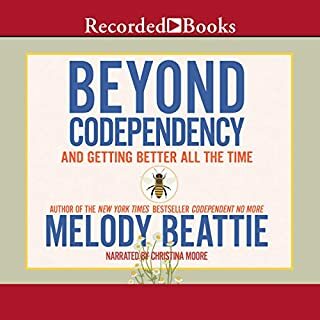 In Codependent No More, Melody Beattie introduced the world to the term codependency. 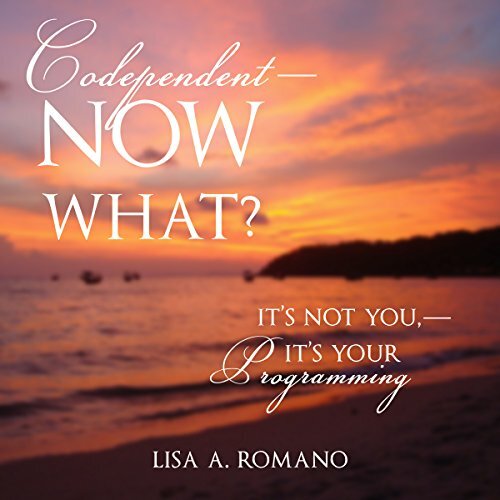 In The New Codependency, she clears up misconceptions, identifies how codependent behavior has changed, and provides a new generation with a road map to wellness. This book is about codependent recovery. This book has a lot of great info in how to help us take steps to become our best selves with living with negative programming in childhood. There are a lot of exercises, so hearing them all at once was a bit overwhelming. It would be a good idea to have a physical copy of this book to keep referring back to for daily guidance. 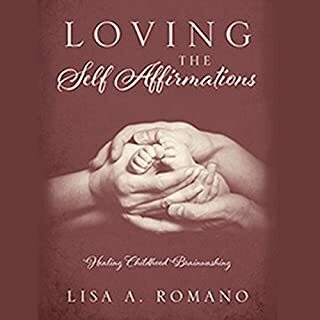 Another amazing book by Lisa Romano! Thank you! Simple and perfect a must read for those in need. I wasn't expecting much from this book. Most self help books are filled with short personal stories on a surface level and a few tips buried in repetitive and long winded explainations. This book is the complete opposite. Every page brings incredible power and awareness to the issue of codependency. The author writes in a way that is both relatable and impactful which really leads me as the reader to look deeper into myself. Great work and I will read this over again and use these concepts for healing for the rest of my life. I have just heard about an hour of this book and it has helped me so much... Thank you Thank you Thank you.. Life saver Lisa A Ramono..you are my hero!!!! Teaching me to me my own hero!!! What did you love best about Codependent - Now What?? 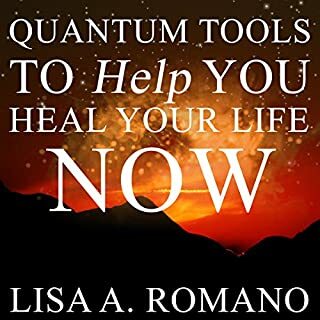 Lisa is amazing at helping understand what's going on with ourselves and provides useful and easy to follow tools to work on that provide amazing results! Have you listened to any of Gina E. Manegio’s other performances before? How does this one compare? I LOVE Lisa and all the work she has pioneered to help those of us below the veil. Fabulous processes for integration of new concepts. I will definetely be purchasing a hard copy to be sure the activities are completed properly. This book has opened my eyes to everything that I was suffering from yet did not realize why. Life changing book. Lisa is amazing. I wasn't prepared for this book. I had no idea of the emotions that would be unleashed and brought up to the surface, but healing they did. I thank my Divine for calling me to the wisdom and medicine within these pages. I hope whoever is called to this book will find peace and healing as well. Light and Love to all. Great book by Lisa. This is for self improvement, very helpful. In the later chapters I felt like she understood and helped me understand a lot of those complex unexplainable feelings. I also loved the tasks she gives her readers. So insightful it took me a long time to finish it! I listened to each chapter again and again to absorb the incredibly insightful information I was hearing. I'm about to start it all over again. This is like a shot of penicillin that continues to work long after you've finished the book. The book itself sounded to have some good tools, but this narrative was very disappointing. She was emotion-less, and seeing as this is a highly emotional subject, her lack of it, actually made me feel bad. I've learned so much from this lady just from her YouTube videos and now this book which I actually listened to for free. I am SUCH a fan of Lisa Romano after watching most of her YouTube videos over the past few years. Recently after reaching a rock-bottom with depression, I went to rehab, and was told that codependency was the route of all my problems. After listening to this book, I can truly say that I have a whole new understanding of myself, and what I need to do in my life to be happy. Just the way Lisa words things, makes me feel so much less alone. Even having someone call me “dear one” makes me well up, as that type of compassion is hard to take sometimes. I’m am forever grateful to Lisa for helping me untangle the mess that is my mind and heart, and I would recommend this book to anyone struggling. Really good. Full of great tools. People who are codepenfdant want tools to work with and this provides just that. Would you try another book written by Lisa A. Romano or narrated by Gina E. Manegio? 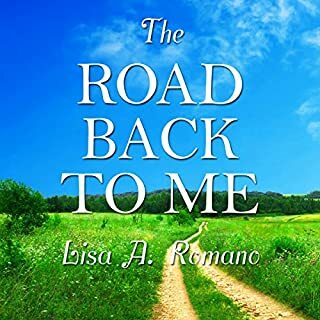 If you’ve listened to books by Lisa A. Romano before, how does this one compare? Was Codependent - Now What? worth the listening time? Should have bought the book. I would definitely recommend this book. It was a wonderful book to listen to. Lisa has given me hope that I can become whole again. I have purchased a hard copy of this book so I can work through the lessons.